In 2015 RI DEM Forest Environment, in partnership with NBNERR and the PI Volunteer Fire Department, was awarded the State and Private Forestry FY2015 Northeastern Area Wildfire Risk Reduction Competitive Project grant. In addition to prescribed fire applications and training opportunities, this grant allows for the development of the state’s first Community Wildfire Protection Plan and FIREWISE community education components. Numerous forest pest species have been present in high numbers in forested areas of Prudence Island in recent years. 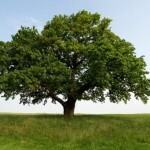 The most obvious indication of that is an increased mortality of oak trees, reduced leaf size and abundance in many hardwood species, and a change in the understory vegetation which results from greater sunlight on the forest floor. Homeowner guides are available for crypt gall wasp, various caterpillars, and winter moth pest species. Stewardship is labor intensive. 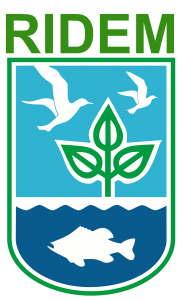 A lot of work is required in stewardship projects from trail clearing and beach cleanups, to selective cutting in forested areas and removing and treating invasive plant species. 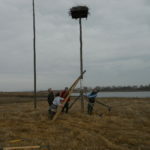 With help from volunteers NBNERR is able to accomplish small and large-scale stewardship projects. If you are interested in helping out, Contact Us to learn how you can participate. There are on-going NBNERR stewardship projects, information, and activities that may be of particular interest to the local community. These may involve resource management & investigations, the development of community planning documents, or volunteer programs.